The Oklahoma City Thunder find themselves in a precarious situation. They’ve just scorched the earth with 4 of the top 6 teams in the Western Conference, but now head out East to play two of the lower tier teams in the league. Add to that the fact that the Thunder may be looking forward to Thursday night’s romp against the Miami Heat, and this sets up perfectly as a trap game candidate. This is the second meeting of the season between these two teams. 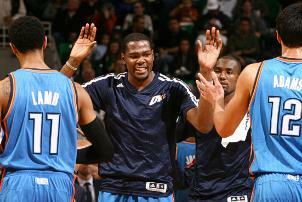 The Thunder defeated the Boston Celtics in the first game, 119-96. In that game, Reggie Jackson destroyed the Celtics, setting a then career high with 27 points on 9-12 shooting from the field. For most teams wear losing records like a scarlett letter. But the Celtics have much to be proud of, regardless of how their 15-29 record looks. This is a team that completely gutted it’s roster in the offseason, trading mainstays Kevin Garnett, Paul Pierce, and Jason Terry to the Brooklyn Nets. In addition, star PG Rajon Rondon was out until recently, recovering from a torn ACL. To say that this team has overachieved would be an understatement. They struggle scoring, but have a top 10 defense in terms of opponent’s points per game. The Celtics are led by Rondo, who is playing in his 4th game back since returning from injury. Veteran Gerald Wallace has had to play out of position due to injuries to many of the SG on the roster. Jeff Green, Jared Sullinger, and Brandon Bass provide the Celtics with their biggest position of strength at forward. Green is able to provide a perimeter game, Sullinger does most of his business in the paint, and Bass excels at the mid-range game. The bench is nearly non-existent due to bevy of injuries. 1. Post defense – The Celtics rank near the bottom of the league in 3-point FG’s made and 3-point FG%. If they are going to do damage, it will be on the inside with Bass, Sullinger, and Humphries. It’ll be up to the Thunder big men to stay disciplined on the boards and defend the paint. 2. Jeff Green – Green is the only player on the Celtics capable of catching fire and taking over. He did it in their last game against the Wizards, going off for 39 points on 8-16 shooting from 3-point land. Contain Green and the Celtics struggle to score. 3. 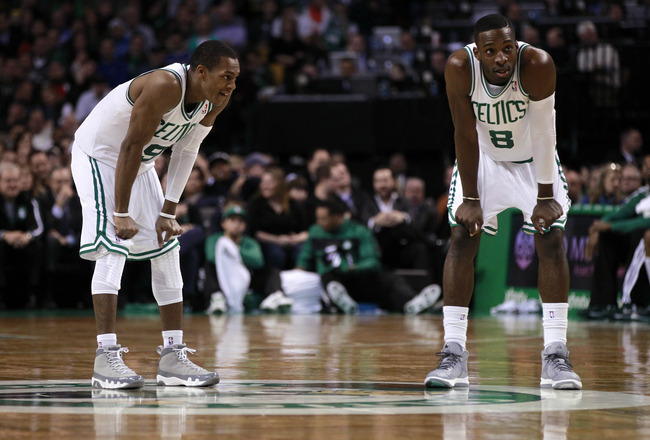 Bench – With the Celtics’ struggles with injury, their bench has been decimated. It’ll be a good game for Jeremy Lamb, Nick Collison, and Perry Jones to enforce their will.